Would you like to grow your own seeds rather than spending money buying plants at the store every spring? Do you worry about wasting time and money struggling to figure out how to grow seeds yourself? Are you a self-proclaimed “brown thumb” who’s tried growing plants from seed before, only to end up killing all of your seedlings? Growing seeds is NOT easy if you don’t know what you’re doing. I totally understand because I’ve been there… growing seeds used to be a huge struggle for me, and I’ve made every single mistake in the book! I've started my seeds too soon, only to end up with weak, leggy seedlings that would never survive long enough to be planted into my garden. I've started my seeds too late, only to discover they weren't mature enough to plant in the spring. I've planted too many seeds or not enough seeds. I've planted seeds that never grew, vegetables that never produced, killed entire flats of seedlings, had all of my seedlings die as soon as I planted them into the garden, or freeze because I planted them too early. It took me forever to get it right! And I struggled for years. Ugh. That’s why I decided to come up with a system that would take the stress out of seed starting, and not only make it easier, but also make it fun too. I’ve been growing my own seeds for 16 years, and I start most of my vegetables and annual flowers, and many of my perennial plants from seed every year. Seed starting has been so successful for me that I hardly ever buy plants at the garden center anymore. I’ve saved thousands of dollars over the years growing my own seeds, and you can too! Good news! You don’t have to worry about struggling like I did! Now, for the first time ever, I’ve broken down my proven system that makes growing seeds much easier. This is the system that I use year after year to grow my own seeds, and I’ve simplified my system so you can successfully grow your own seeds too. Don’t waste another year struggling to grow seeds by trial-and-error. Enroll in the course and start growing your own seeds today! I am so glad that your online course came to me at the time it did. I had been an avid gardener for many years, when I owned my home. I now live in a townhome with a smaller area to work with, and your course has definitely helped me to gather my ideas together. I appreciate how you get to even the most minimal things of concern in your course. Thanks for deciding to produce this online course. 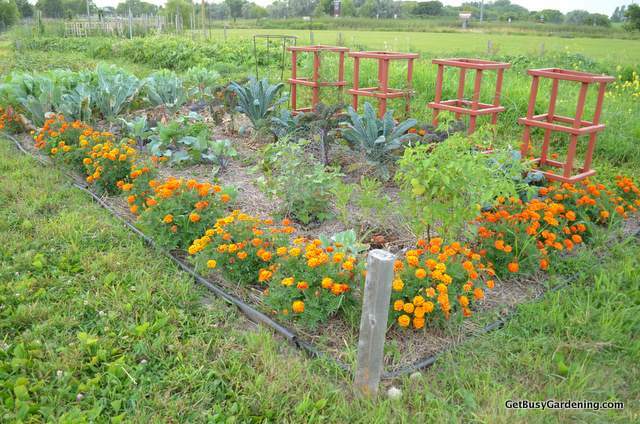 GBG is a great resource for information on gardening. It motivates me to get my hands dirty, both outside and inside. Amy inspires me to incorporate gardening and the benefits of it into my life. I have enjoyed the rewards of fresh vegetables, tea recipes, and beautiful house plants. However, my favorite was winter seed sowing. If you do not know what that is, I highly suggest you check her out! I have learned so much from Amy as a long time fan of Get Busy Gardening! Amy breaks down tips into easy to follow instructions and she will inspire anyone to truly get busy in their garden. Amy provides so many wonderful ideas and tips that one can't help but try something new from her like I did with winter sowing seeds. Your dirt awaits many exciting possibilities with Amy as your guide. Each module will be broken down into multiple lessons so you can go through the lessons, work through the action steps at your own pace, and have fun growing your seeds. PLUS I have included some awesome BONUS materials that you are going to love! Throughout the course, I’ll give you printable checklists and handouts that will help you keep track of the things you learned, as well as lists of supplies and different types of seeds to make it super easy for you. I will also give you worksheets to use during and after the course that will help you stay organized, track your progress and success, and, as a super awesome BONUS, create your own customized seed starting schedule that will completely take the guesswork out of when to start each of your seeds every year. You’ll also get access to my private Facebook group, set up exclusively for the people who take this course. So you can ask as many questions as you want and get a community of support, as well as support from me as much as you need it. Listen to the prerecorded Q&A calls to get your questions answered. Listen to them any time you want, there’s no expiration date. You’ll be able to access the course modules and, materials, recorded Q&A calls, and get support from our private community whenever you want. This way you can refer back to them time and time again in order to make rapid progress! Save hundreds of dollars every year, and have FUN growing your own seeds! Buying plants at the store year after year is expensive! I spent over $300 the first time that I had to buy plants for my garden, and I couldn’t even buy all the plants I wanted! Yikes! But you don’t have to learn the hard way, the solution is right here for you! 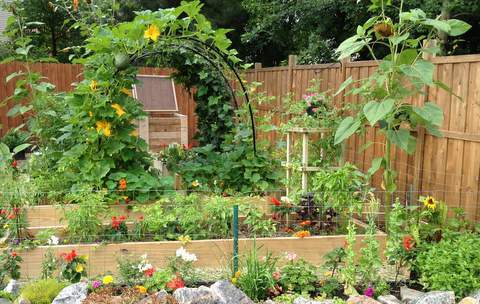 I'm confident that this course will save you $1,000s on your garden over the long-run, because you will be able to grow your plants from seed rather than spending tons of money buying new plants at the store every spring. So not only will you be saving all that time and money by growing your own seeds, you won’t have to struggle through the heartbreak and waste by trying to figure it out for yourself. And you’ll get it for a fraction of the cost of buying all those plants. This is a great bargain! Struggle with growing seeds? Let me make it easy for you! Join me for the Seed Starting Course and learn how to grow your own seeds! Click the button to enroll in the course today! Your investment is protected by my 60-Day “no questions asked” money back guarantee. Enroll in the program, put it into action and see the results for a full two months. If you’re not happy, just send me an email in the first 60 days and I’ll give every penny back right away. This fun course is designed to help gardeners learn how to start their plants from seed in order to save money on their gardens, and grow any type of plant they want from seed. 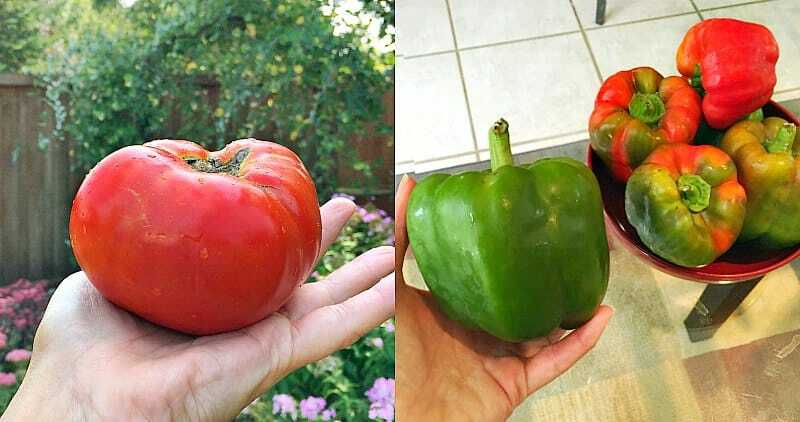 The goal of the course is the help gardeners learn the best methods for starting seeds so that they can easily grow anything they want for their gardens without having to worry about busting their budget. Did you know that there’s more than one method you can use to grow seeds? In module 1, I will introduce to you to three common methods for starting seeds, indoors, direct sowing and winter sowing. Then we’ll dive right into the details of starting seeds indoors. We will talk in depth about the types of equipment you’ll need for starting seeds indoors. I will give you the very basics of what equipment you need to get started (there’s no need to buy a ton of fancy and expensive seed starting equipment!) and money saving tips for cutting the cost of the supplies. In module 2 we will cover how to figure out when to start your seeds and how to choose what types of seeds to grow. I’ll discuss the types of seeds that are easiest for beginners, and also which seeds are best to start indoors, and which seeds are easier to use for direct sowing or winter sowing. I will also show you how to test the viability of old seeds, so you know that your seeds will grow before you waste any time or money planting them. Module 3 is where we’ll start to get our hands dirty! First I will show you the ideal setup options for your seed starting equipment, and how to prepare your seed flats for starting your seeds indoors. Once your equipment is ready, it’s time for the dirty work! I will walk you through and show you exactly how to start your seeds indoors step-by-step, so you can follow right along. Ok, we’ve planted our seeds and now we’re done, right? Wrong! Planting the seeds is the easy part, and now comes the real work. In module 4 we’ll discuss how to care for your seedlings (the hardest part about starting seeds indoors!) 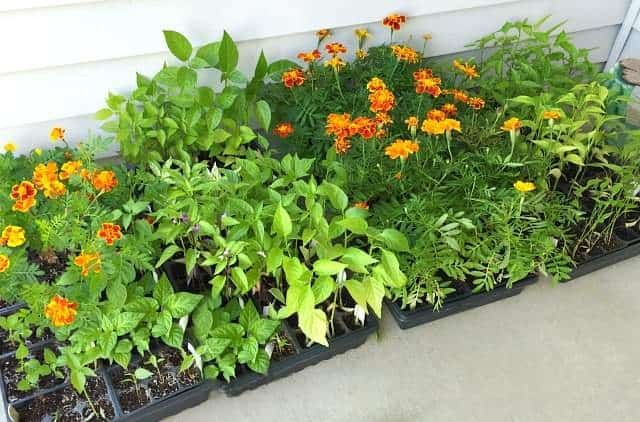 and troubleshoot common problems so that your seedlings will not only survive, but will grow strong, and stay healthy over the next several weeks before they can be planted into the garden. In module 5, we’ll dive deep into how to use the winter sowing method of starting seeds. I'll start by discussing winter sowing supplies you'll need, the types of containers you can use (for FREE! ), and I'll show how to prepare your containers for planting. Then I'll walk you through how to winter sow your seeds step-by-step, so you can follow along. To wrap things up, I’ll discuss how to care for your winter sown seeds through the winter and into spring so you will have strong, healthy seedlings ready to plant when the time is right. In module 6, we’ll discuss the benefits of potting up your indoor sown seedlings into larger containers (an optional step). I’ll talk about different options for containers that you can use, and also show you exactly how to pot up your seedlings. We’ll also talk about direct sowing seeds in your garden, the timing, and which types of seeds to use. Then I'll take you out into my garden and show you how to direct sow your seeds step-by-step. In module 7, we’ll talk about how to know when it’s safe to plant the seedlings you started indoors into the garden, and how to transplant them. Then I’ll show you the critical step that you must take before your seedlings can be planted into the garden. This is possibly the most important step that many new gardeners miss when starting seeds indoors (and one of most common causes of seedling death!). I’ll walk you through step-by-step to show you exactly how to ensure your seedlings will survive the transition to the garden. As a BONUS, I’ll show you how to create your own customized seed starting schedule that will make it super easy for you to start your seeds year after year!. AND, as another BONUS, I will show you how to store your leftover seeds so that you can save them to plant next year (saving you even more $!). 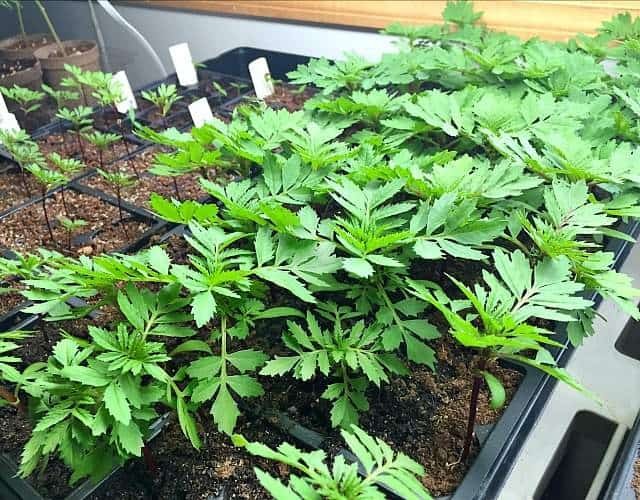 Ready To Take The Stress Out Of Seed Starting? Start the gardening season off right this year by learning how to grow your own seeds! No more scouring the internet trying to piece together all the information you need, hoping it’s accurate. It’s all right here, laid out for you! You’ll have someone (me!) show you exactly how to start your seeds, and you can go through each step in the process at your own pace from the comfort of your home. I believe that every gardener should know how to grow their own seeds so they can have as many plants for their garden as they want without breaking the bank. And I want to make sure this training is affordable to EVERYONE! Which is why I’m offering this online course at such a low price. The best part is that once you learn how to grow your own seeds, this course will easily pay for itself - many times over! Join me for the Seed Starting Course and learn how to save yourself tons of cash every year by growing your plants from seed! This course is designed for gardeners who are tired of spending a ton of money buying plants for their gardens and planters every year, and want to learn how grow them from seed in order to save money. The course is primarily designed for gardeners who are new to starting seeds, brand new gardeners just starting out, or gardeners who’ve tried starting seeds before but it was an epic failure. Beginning the day you sign up, the course modules will be sent daily to your inbox. Each module will have action steps you can take to get started right away. The modules will be broken down into multiple lessons so you can watch the videos, read the materials, and implement the action steps in small increments at your own pace. This course is not for you if you’re a seasoned gardener who’s already a pro at starting all of your own seeds. The lessons for the first module will be sent to you right away, and you can work on them at your own pace. Then each day you will get a new module in your inbox, for a total of 7 modules. There’s no deadline to finish the course modules, you set your own schedule, and you can watch the videos as many times as you want or need to. Lifetime access to all of the course materials, bonus materials, and recorded Q&A calls so you can go through the lessons at your own pace, and as many times as you want or need to. You could go through them every year as a refresher. You’ll also get bonus access to my private Facebook community that is set up exclusively for the people who have taken this course. That way you can ask as many questions as you want and get a community of support. I will also be in there regularly to answer your questions as well. The benefits of taking an online course are numerous! There’s no deadline to finish so you can work through the course materials at your own pace. Pause, rewind, fast forward, start over or watch it over and over… whatever you need in order to learn at your own pace! Plus, since you’re doing all the hands on work in the comfort of your home, you’ll have everything you need (seeds, equipment, dirt…etc) right at your fingertips. You can literally get your hands dirty while you work through the modules, and even take it with you into the garden if you want. And the best part… you can take the entire course in your pajamas – we won’t tell! Remember, The Seed Starting Course has everything you need to get started growing your own seeds right now without wasting time, money and frustration. From learning exactly how and when to plant your seeds and caring for you seedlings, to saving money on equipment and supplies, learning exactly how and when to plant your seedlings into your garden so they will thrive, and a customized plan to save you time and money year after year, you'll be all set for success. Click the button to enroll in the course and get started right away!